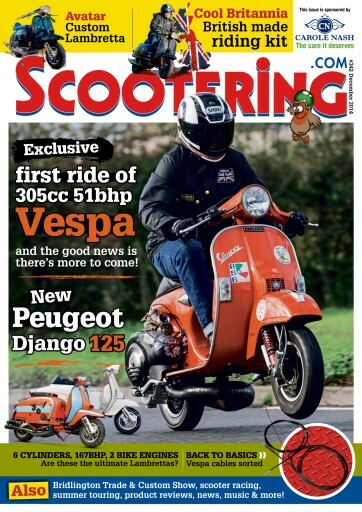 Exclusive first ride of 305cc 51bhp Vespa and the good news is there's more to come! 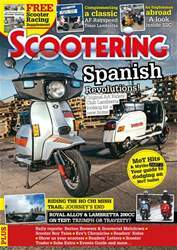 6 Cylinders, 167BHP, 2 bike engines - are these the ultimate Lambrettas? 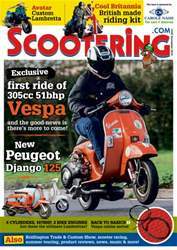 Back to basics - Vespa cables sorted. 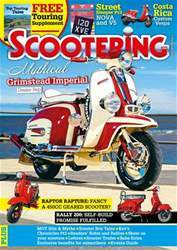 Cool Britannia - British made riding kit. 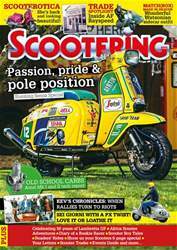 Bridlington Trade & Custom Show, scooter racing, summer touring, product reviews, news, music & more!